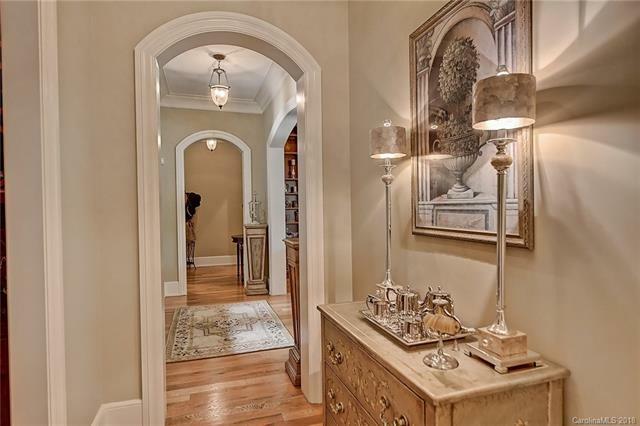 French Provincial private waterfront estate boasting 2 levels of custom features. 4 bedrooms and 4 1/2 baths on a 0.72-acre lot in a private Lake Norman cove that leads to big water. 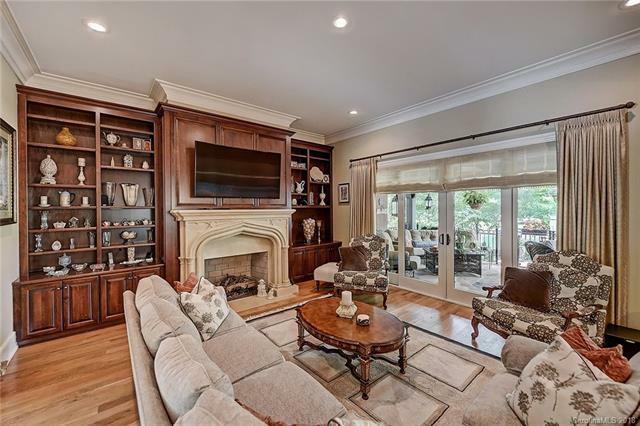 Features include a circular library/office, circular Dining room, gourmet chef's kitchen with SS appliances, large island, 5-burner gas cooktop, walk-in pantry with custom shelving. Abundant counter and cabinet space, Den off Kitchen with gas fireplace, outdoor lanai, designer saltwater pool with flagstone, and outdoor kitchen. Master Suite with waterfront views and entry to covered lanai, master bath with marble floors, separate vanities jacuzzi tub and oversized walk-through shower. Designer master closet. Upper floor has 3 additional Full Bedroom suites with luxury finishes, water views from every room. Billiard Room, open balcony deck with Trex decking. Extra wide hallways with built-in bookshelves. Storage galore, 3-car garage with epoxy floors, designer storage cabinets, custom wainscoting on walls.